above photo;. Templemore Golf Club, “Renowned Senior Winners”. L..R. Ollie Murray, Michael Maher, Eddie Butler, Sean Lee. (Photo by; Rody Cawley). The J.B. Carr Diamond Trophy; Fever will be in the air for team selection to this great tournament which Templemore graciously won the Munster Title last year and progressed to the Semi Finals at Woodenbridge. The 1st. Leg. is away, Tipperary -V- Templemore, to be completed no Later than Tuesday April 23. Contact Manager; Liam Leahy. 087-4115773 if you feel you should be on the selection list. A Welcome to Beginner Golfers. There is a “Special limited Fee” for beginners which is guaranteed not to change for 3 years. This is very attractive for anyone interested in joining and for those purchasing vouchers to give a life changing experience to someone. New members are now been accepted. The membership categories have been increased to suit all sectors of the community. All current members are encouraged to introduce at least “ONE NEW MEMBER” Lady or Gent, Junior or Student, Seniors Juveniles and Family, Active Retiree’s, Special Needs or any person interested in taking up the sport. It will be a huge advantage to building the club membership and profile. 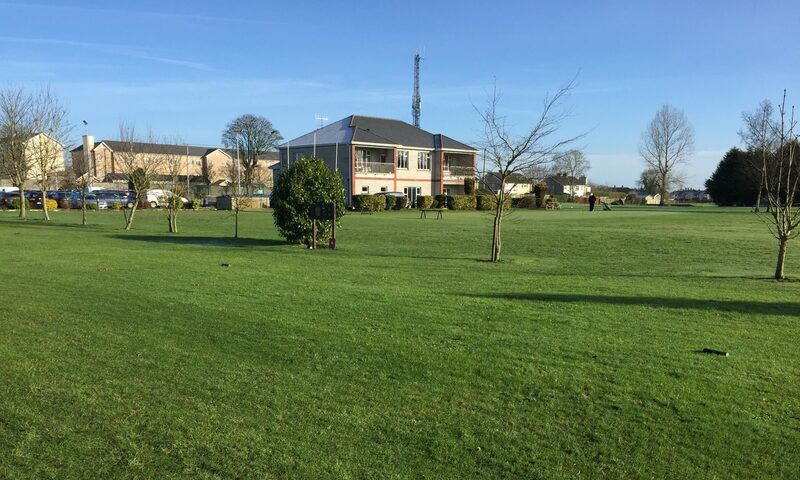 A Welcome to Lapsed Members; There is a great return by Lapsed members and all are Welcome Back; A special rate for “Lapsed Members” that have not played/joined for “One Year” can avail of a “welcomed back” once-off, special rate of €200 and Ladies €170. This is a great motivation opportunity for golfers, Ladies and Gents who want to return to this great social game. All current members are encouraged to promote this offer to help those that want to return to the Club. Registrations Forms are now available on-line on our web site, just select the “Membership” tab and it will give you the option to pay by Pay Pal or Credit Card. or collect an application form at the club house or contact Martin Bohan 087 0509278 or any of the committee members. Payment options can also be made through the Golf Club web site link; http://templemoregolfclub.ie/membership/ All will be more than welcomed. Give a Life Changing Gift; Give a life changing Sport experience to someone. The Ideal gift for anyone who would like to take part in an active exercise sport. Golf is that Ideal Gift. Buy a membership Voucher now. Contact Martin Bohan 087 0509278 or any of the committee for to purchase the “Ideal Active Present”. Donations for Course Development; Donations will be greatly received and used exclusively for Course Development. Put your stamp on the course making a special donation. Just select the “Membership” tab and then select “Make a Donation” tab on the Club Web Site http://templemoregolfclub.ie/membership/ , or in confidence contact; Martin Bohan 087 0509278. The Seniors; Thursday March 14th. was cancelled due to inclement weather. Hopefully all will be OK foe next week Thursday 21st. March. The Seniors is an ideal opportunity for “Lapsed Members” to return to the club. There will be a great “Welcome Back” for them, also, great team support, banter and refreshments. “Make your return to Golf Now”. Call in on Thursday mornings at 10am. To play or at 12noon approx. for to join in the Cuppa and Banter. Bereavement; The seniors extend their deepest sympathy to Michael O’Brien (Bohernamona Rd. 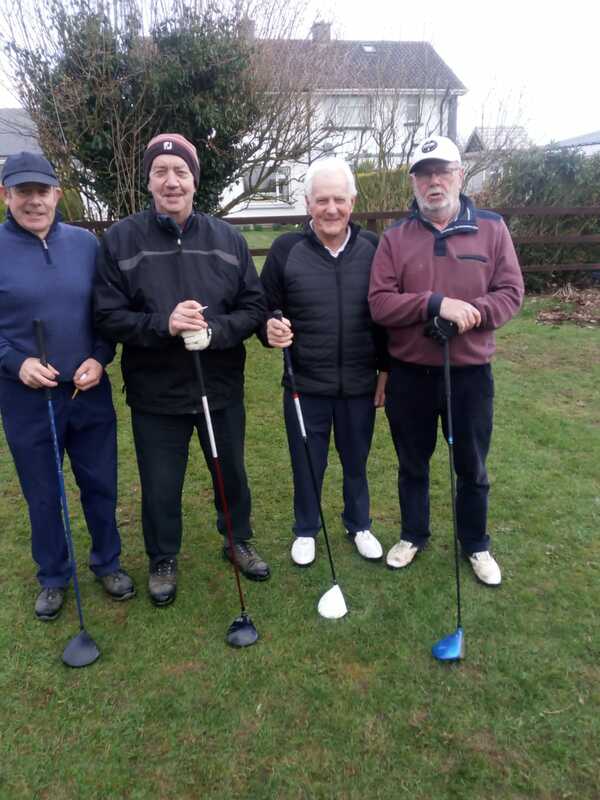 Thurles) a great friend of the Templemore Golf Club Seniors Golf, Sympathy also to his wife Josie, sons Gerard, J.J, Michael and Tony, daughter Siobhan, and extended family. Michael passed away on Tuesday 12th. March. Requiem Mass was on Thursday 14th at 11am. and burial afterwards in St Patrick’s Cemetery, Thurles. Saturday April 13 ; White Dowling Society. Sunday May 12 ; Senior Interclub Fourball. Over 55yrs., No Handicap Limit, Combines 42max. Round 1-Tipperary-V-Templemore. Manager; Seanie Gleeson. Sunday June 2 ; GUI All Ireland Inter Club Four-Ball Championship. Round 1- Cahir Park-V-Templemore. Manager; P.J. Leahy.